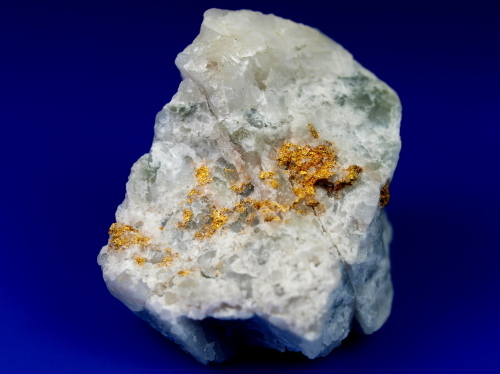 Buy Natural Gold in Quartz. 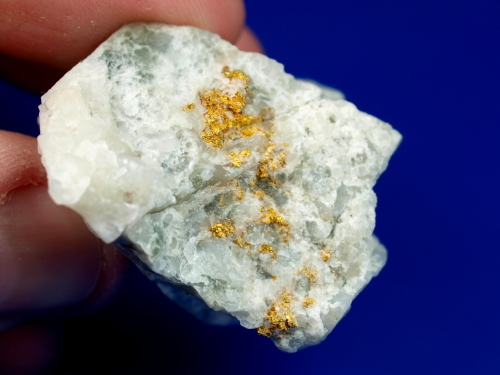 Investment Grade Gold Specimens. 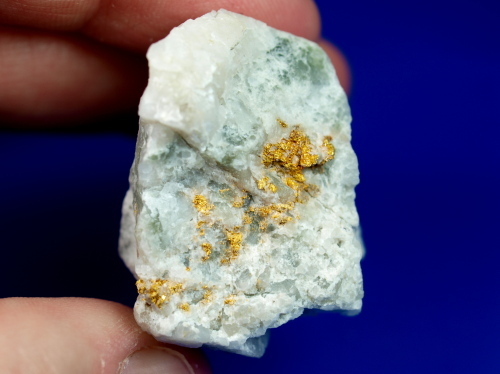 Here is a lovely gold in quartz specimen originating from California. It is a nice large piece, that measures roughly 1.25" x 1.25" x 1". 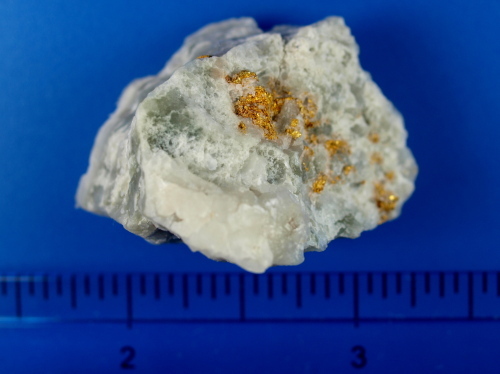 It is mainly quartz with a very attractive sprinkling of gold that runs across one side of the specimens. Due to its nice size it displays very well. You can set this one on your desk without fear of losing it! 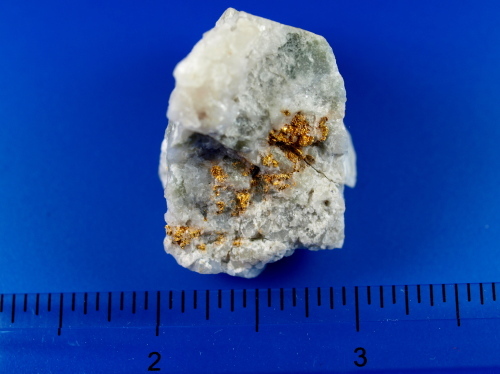 The total weight of the specimen is 25.66 grams or 0.825 troy oz.